We have been lucky of late with the long spell of dry and sunny weather hitting the UK. Let’s face it, we don’t get too many chances to enjoy a sunny day, so we often forget the dangers of the sun on our bodies, especially our skin. We have all been there… where a beautiful day ends with you resembling more like a red lobster and having to face a shower or bath with the unmistakable burning stinging sensation associated with sun burn! Bad times! On a serious note, this kind of repeated sun damage can seriously increase the risk of you developing serious illnesses, such as skin cancer. Skin cancer is, according to the British Skin Foundation, the most common form of cancer in the UK – At least 100,000 new cases are now diagnosed each year – and rates are continuing to rise. Cancer Research UK agrees with the statement. They note that there are around 15,400 new melanoma skin cancer cases in the UK every year, that’s 42 every day (2013-2015). Have certain inherited conditions that increase your risk of skin cancer, such as xeroderma pigmentosum (XP) or nevoid basal cell carcinoma syndrome (Gorlin syndrome). IT ISN’T ALL DOOM AND GLOOM! If you’re reckless with how you approach the sunshine, or more specifically, UV rays (be on sun beds etc) you are at a higher risk, especially if you tick any of the listed points above. You can however still enjoy the great outdoors and a beautiful sunny day. Make sure your sunscreen is broad spectrum and water-resistant. 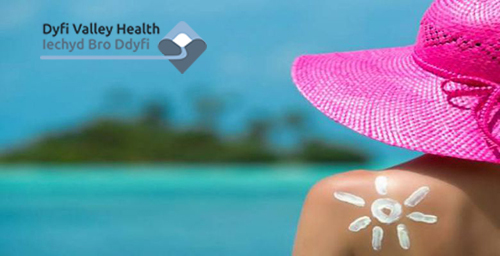 Factors SPF 30 or SPF 50 are the recommended. Here is a list of potentials. Reviewed by The Independent. Don’t use sunscreen to increase the amount of time you spend in the sun and always use with other forms of protection too. 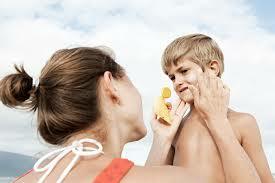 Apply sunscreen liberally to clean, dry skin at least 20 minutes before you go outside and reapply every two hours. A broad-brimmed, legionnaire or bucket style hat provides good protection for the face, nose, neck and ears, which are common sites for skin cancers. Caps and visors do not provide enough protection. Sunglasses and a broad-brimmed hat worn together can reduce UV radiation exposure to the eyes by up to 98 per cent. Sunglasses should be worn outside during daylight hours. Your Dyfi Valley Health team would also be happy to give you advice. If you have any questions or concerns about skin cancer. Get in touch with us and / or book an appointment.